Today's grammar checkers come in two flavors! Grammar checker (offline) apps provide features such as "Interactive Checking" which actually means "check-as-you-type". Interactive Checking allows you to correct spelling, grammar, and punctuation errors on the fly as you work in your original document instead of waiting until you are finished and then doing a full check after your writing session is over. Online grammar checkers cannot have "Interactive Checking" because the web browser is the secondary document that you had to copy and paste your original text into! And then, you must copy and paste back from the web browser document back into the original document again after you are finished. Confusing? Yes! Grammar checker (offline) apps are downloads and exist on your computer. The apps can be used anytime and anywhere because you are not tied to having an online internet connection. Nonetheless, online Grammar services work only when an internet connection is available. Imagine having to go to an internet coffee cafe just to check and edit your document or doctorate. The online checkers are usually very expensive if you consider paying about $50 for just the use of the service for one month. All current grammar checker variations are derived in some way from the few first generation grammar checkers of the 1980's. The first generation grammar checkers set the current standards and features beyond earlier style checkers. 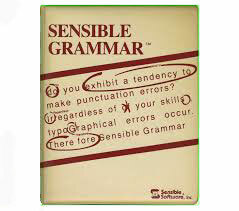 These include Sensible Grammar (the very first #1), Correct Grammar, and, RightWriter. Later Microsoft #2, WordPerfect #3, and other companies either acquired those products or purchased derivatives of their code. What you see today is some varied form of the first generation of applications. Some of these companies sold or licensed out derivatives of the derivatives and flooded the market with new products. And so many of these products don't do what they claim to do. Many original developers have since passed the torch but not their expertise. Most online grammar checker services are actually the same product. In other words, many of these checkers have the same guts with a different wrapper and are very much equivalent. Generally, these services license the spelling and grammar engine from another company. Some "wannabe get-rich-quick" companies try to leverage together a commercial product rather quickly with free open source code. This code creates a brain-dead style check product that would not even realistically qualify to be available in the 1980's. Be aware of this. Because these services usually pop up out of nowhere, very little information is available on them and where they originated. Online and marketing hype plus search engine manipulation generally drive the sales of these services. This ultimately explains the reason for the plethora of these online subscription services. True rigidly-tested grammar checkers are very complex, are very difficult to program, and actually take decades to create. Don't hesitate to inquire where the code originated before you make a purchase. Ask for a complete error rule list and error list samples for each rule. Don't be fooled by the hype! Some of these products are internet hoaxes and scams. Some even break FCC rules. One in particular has 157 Better Business Bureau complaints as of the time of this writing. And one company has bizarre terms in their legal terms of service: "YOU MAY NOT CHECK MORE THAN 300 DOCUMENTS OR 150,000 WORDS IN ANY 30-DAY PERIOD OR 100 DOCUMENTS OR 50,000 WORDS IN ANY 24-HOUR PERIOD." According to the terms, your writing work belongs to the online service company once you use it. Forget about your privacy and copyrights. Most people have a lack of knowledge of the quality of grammar checkers and follow the crowd and the illusion of popularity. Some of the online companies use internet social media, planted journalists, and deceptive internet business practices to blindly herd people and college universities who "know very little". 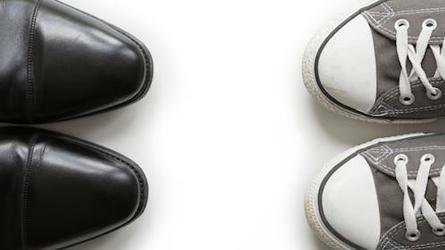 One service recruits bloggers for publicity and web presence. And the list goes on and on. In summary, be careful, spend your money wisely, avoid the snake-oil salesman, and own a useful writing tool instead of wasting money on a costly subscription! 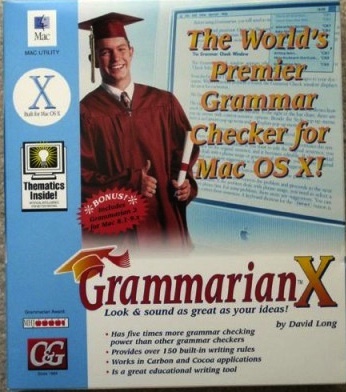 Presently, Grammarian PRO2 X is the only original grammar checker with the original engineer/researcher/developer (from the 80's). Linguisoft is the current publisher. 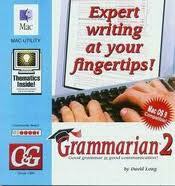 #2 Microsoft Corp.acquired Correct Grammar (from Houghton Mifflin) in 1992. Correct Grammar's code was also licensed by other third parties. #3 WordPerfect Corp. acquired a rudimentary style checker called "Grammitik" in 1992.